The XV20i AC unit is one of the industry’s most efficient variable speed air conditioners; on the hottest of days it cools your home with precision, keeping you cool and comfortable throughout the day. One of the industry’s most efficient air conditioners, the XL20i AC unit is built to stand up to the elements and deliver reliable cooling, even on the hottest day of the year, and lowers your cooling costs at the same time. You can be sure the XV18 air conditioner will cool your home with precision. This variable speed air conditioning system is built to stand up to the toughest elements, while lowering your cooling costs for an all-around comfort experience. Working as part of your home’s HVAC system, the XL18i central air conditioner unit offers two-stage cooling, making it easier than ever to cool even the hard-to-reach parts of your home. This central air conditioning unit’s design ensures that your family can rely on superior comfort year round.Home cooling with the Trane XL16i offers flexible family comfort, with the ability to cool every room to the right temperature efficiently. So even the hard-to-cool parts of your home will be easy to relax in.The XR17 central air conditioning unit comes with the reliability you’ve come to expect from Trane and the energy efficiency you deserve. Designed with you in mind, this central air conditioner’s two-stage cooling technology helps provide even cooling to every room in your home.Working as part of your home HVAC system, the XR16 home air conditioning unit comes with the reliability you’ve come to expect from Trane and the energy efficiency you deserve. This central air system’s design ensures that your family has superior comfort year round. Efficiency and reliability. The XR14 central A/C unit offers up to a 16.00 SEER rating. The XR13 air conditioner system comes with the reliability you expect from Trane and the comfort your home deserves. Built with you in mind, this home air conditioning system’s design helps deliver cool air to every room in your house, allowing you to relax comfortably.Make a smart investment in comfort and efficiency with the XB16 central air system by Trane. With up to a 16.50 SEER rating, this central cooling system is designed to help your home overcome the most stifling days with reliable, energy-conscious operation.The XB13 combines innovative components that give long-lasting, reliable performance. And because the XB13 meets federal SEER regulations, it’s also cost-effective. Working as part of your home’s HVAC system, the XL18i central air conditioner unit offers two-stage cooling, making it easier than ever to cool even the hard-to-reach parts of your home. This central air conditioning unit’s design ensures that your family can rely on superior comfort year round .Summer is for relaxing, not battling the heat. A Trane central air conditioner allows you to rest comfortably day or night while eliminating the worry about your next utility bill. Each of our central air conditioner units is designed to give you a cooler, happier life. So whether you’re hosting a summer get together or having a movie night in, you can relax peacefully knowing your home cooling needs are backed by a Trane air conditioner. 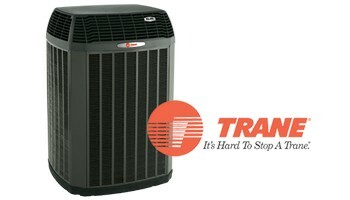 The benefits of owning a Trane central air conditioner unit do not end after installation. Each AC unit is backed with a Trane warranty, guaranteeing a cooler, more comfortable home year round.